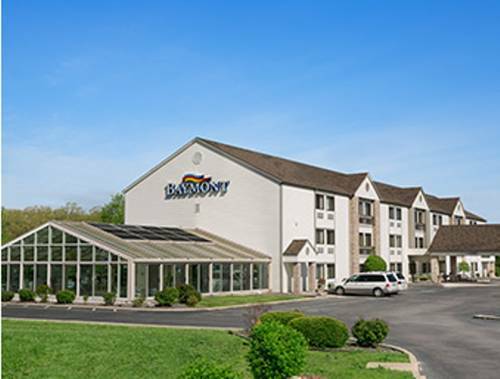 Conveniently located off Interstate 44, this Baymont Inn and Suites Sullivan is near Meramec Caverns, Meramec State Park, Jesse James Wax Museum, Purina Farms, St. Louis, sports arenas, Gateway Arch, and many local restaurants. Experience hometown hospitality at this pet-friendly lodging with complimentary hot breakfast, complimentary Internet, gym, indoor pool, hot tub, and business center with complimentary copy services. There is no charge for children under 17 when staying with an adult. Guest room amenities include microwave, refrigerator, coffee maker, desk and TV. Suites, handicapped-accessible, and non-smoking rooms are also available.